2013 was a record-breaking year in San Diego medical office building sales. International real estate services company JLL’s research indicates that nearly one-third of all sales above $10 million over the last 10 years took place in 2013. A total sales consideration of $224 million was recorded on the year, surpassing the huge 2012 year that logged total sales consideration of $186 million. Even the peak years of 2007 and 2008, which combined for a total sales volume of $215 million, fell short of last year’s selling frenzy. Converging local university institutions and the commercial real estate industry, NAIOP San Diego’s fourth annual University Challenge Friday showcased the best conceptual commercial development plans from student teams at University of California San Diego Department of Urban Studies & Planning, San Diego State University Corky McMillin Center for Real Estate and University of San Diego Burnham Moores Center for Real Estate. Some examples of how landscape architecture can transform a commercial property, promote healthier living and conserve water. Raised-bed planters are like concentrated mini-gardens where you can focus your time, resources and gardening energy. History credits Gilbert Laing Meason with coining the term "landscape architecture" in 1828, and Frederick Law Olmsted, 35 years later, as the first to use “landscape architect” as a professional title. Difficult to describe by some and mistakenly pigeonholed by others, landscape architecture is a multidisciplinary profession and the work of its practitioners has an indelible effect on public spaces, worldwide. 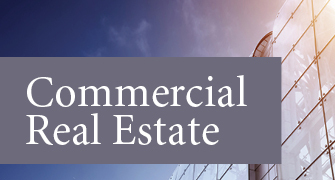 Commercial real estate management is a time-consuming business. Whether it is overseeing property operations, tenant relations, construction management and capital improvements, or lease renewals, property issues are labor intensive and require constant attention. A professional, third-party real estate management company should provide confidence, stability, and relevant solutions to owners of commercial space. Kilroy Centre Del Mar, owned and managed by Kilroy Realty Corporation (NYSE: KRC), has been named a Pacific Southwest regional winner of The Outstanding Building of the Year (TOBY) in the suburban office park, low-rise category by the Building Owners & Managers Association. For many reasons, the number of civil jury trials in California is on the decrease. In fact, last year in California County Superior Courts, there were only 1,172 jury trials where the amount in controversy was more than $25,000 -- an unusually low number. A key reason for this is the growing popularity of binding arbitration. San Diego adopted California’s first Sustainable Communities Strategy, recognizing that land use decisions can positively influence public health. As part of San Diego’s effort to move toward sustainable communities, One Paseo, a 23-acre proposed mixed-use Main Street community was incorporated into this strategy. The U.S. capital markets are in their healthiest state since the downturn with plentiful debt and equity capital for virtually all commercial real estate asset classes. Slow, yet steady, improvement in national economic fundamentals, favorable interest rates, increasing liquidity and the “great rotation” out of fixed-income assets has led to real estate investors entering buy mode in a big way. Foreign capital is zeroed back in on U.S. gateway markets, and in some areas demand has grossly outpaced supply, resulting in pricing that has surpassed prior peak levels. NEW YORK -- New York's storied Four Seasons restaurant has for decades harbored one of the city's more unusual artworks: the largest Pablo Picasso painting in the United States. But a plan to move it has touched off a spat as sharply drawn as the bullfight crowd the canvas depicts. Each year, BOMA San Diego presents The Outstanding Building of the Year Awards (TOBY), the most prestigious and coveted awards in the commercial real estate industry. The TOBY Awards honor buildings that demonstrate excellence in overall building operations and management. All facets of a building’s operations and programs are thoroughly evaluated, including building management, operational efficiency, tenant retention, emergency planning and community impact. American Realty Capital Properties Inc., the largest owner of single-tenant U.S. buildings, is interested in acquiring NorthStar Realty Finance Corp., people with knowledge of the matter said. The San Diego Building Owners & Managers Association has recently tapped three commercial real estate executives to serve on the organization’s advisory board. Scott Kuklish, senior vice president of PM Realty Group, Ann Chevalier, managing director of CBRE and Kevin Rude, CCIM, RPA, managing director of Colliers International, will serve as guiding voices for the organization. Mamoru Kohda, who scouts the globe for properties for Japan’s Daisho Co., began looking for a hotel in Singapore in early 2013. Within a year, the property investor and developer had acquired the newly opened Westin in the island-state’s financial district for a record price. What does the term "public rights of way" really mean? To many, this is a place where vehicles are allowed to travel freely, having only to adhere to the rules of the road. March brought a rebound in the value of construction contracts awarded around San Diego County, according to monthly data from McGraw Hill Construction and Dodge Research and Analytics. The West saw a minimal gain in demand for design activity as the region stays in positive territory for the 20th consecutive month, according to the latest American Institute of Architects’ Architecture Billings Index. The U.S. General Services Administration says it can save $5.02 million in San Diego by moving leased space into the Edward J. Schwartz Federal Building and Courthouse in downtown San Diego. The California Department of Transportation is planning to distribute $360 million over the next three years to projects that promote biking and walking, and San Diego municipalities are looking for a piece of the pie. The Chula Vista City Council has approved a consultant to prepare zoning regulations for the University Park and Innovation District Sectional Planning Area, a new development in the southeastern part of the city. San Diego Mayor Kevin Faulconer and City Council President Todd Gloria on Wednesday broke ground on a $1.7 million street renovation project in Golden Hill, calling it a model for the type of project that Faulconer plans to include in the budget he will submit to the City Council next week. March 19, 2014 -- George Chamberlin talks with Lorne Polger, senior managing director and co-founder of Pathfinder Partners, about real estate investing in the current market conditions.